We took a lot of racing video. However, race courses are difficult to film well, and non of the footage really stood out. During march break, we skied 11 straight days starting from mt.snow, then pico, then killington, then sunday river, and finishing at sugarloaf. At sunday river, where we saw sun for the first time in seven days, xavier just nailed a run on White Heat, the longest/steepest bump trail in the east. Actually, ripcord at mt.snow has a short section that's steeper, and there were plenty of 60+ degree pitches out west, but I was unable to film xavier's runs on those (too busy just trying to survive myself). 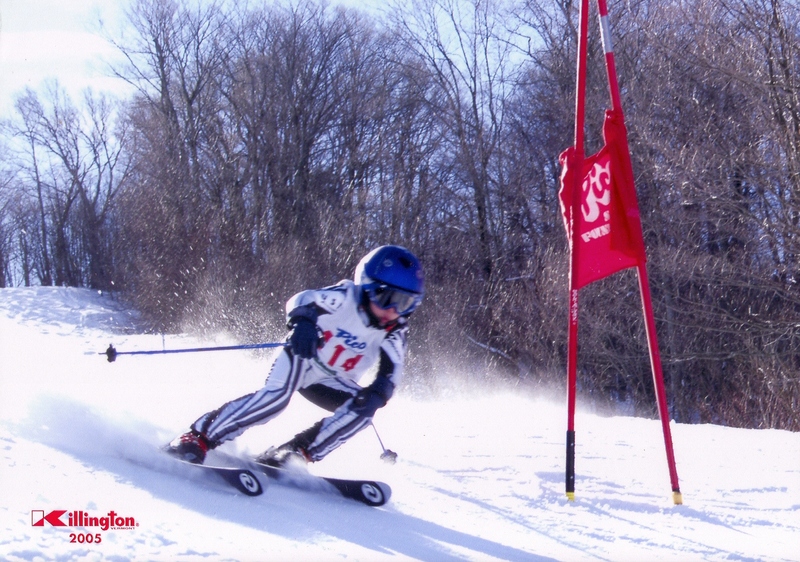 At the end of 2004, xavier was just beginning to ski faster than me in the bumps. 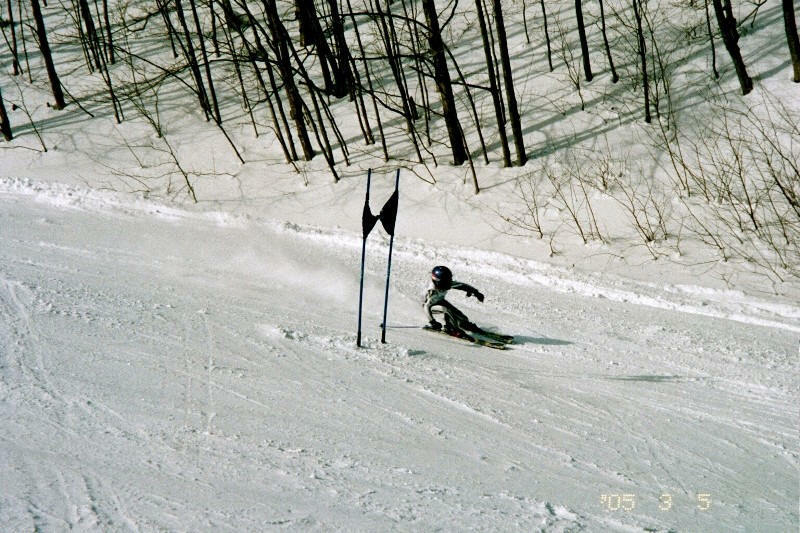 At the end of 2005, he's left me (and most advanced and expert skiers) in the dust with his ability to ski bumps and trees. 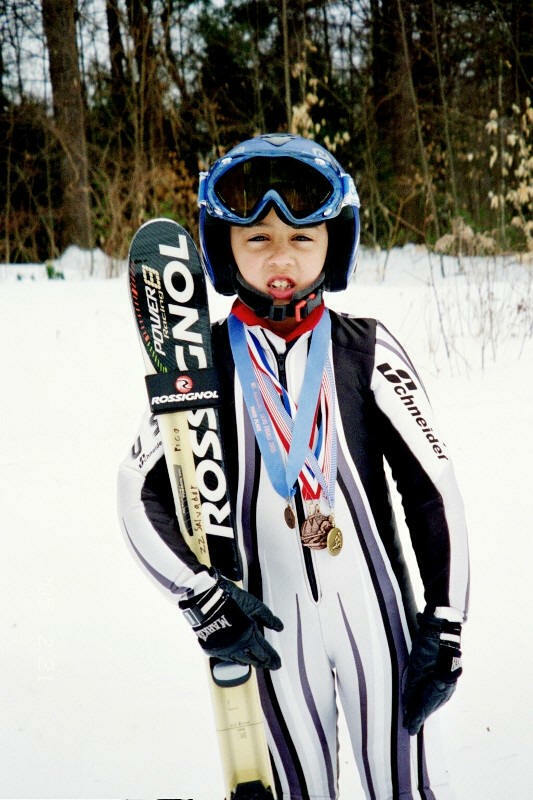 He is not interested in moving to the freestyle discipline, so he'll continue racing next year.